Steel Side Hinged doors are very strong and great if you use the garage for storage or an access door into the house. Unlike an up and over you can open one side of the door keeping your garage more private. 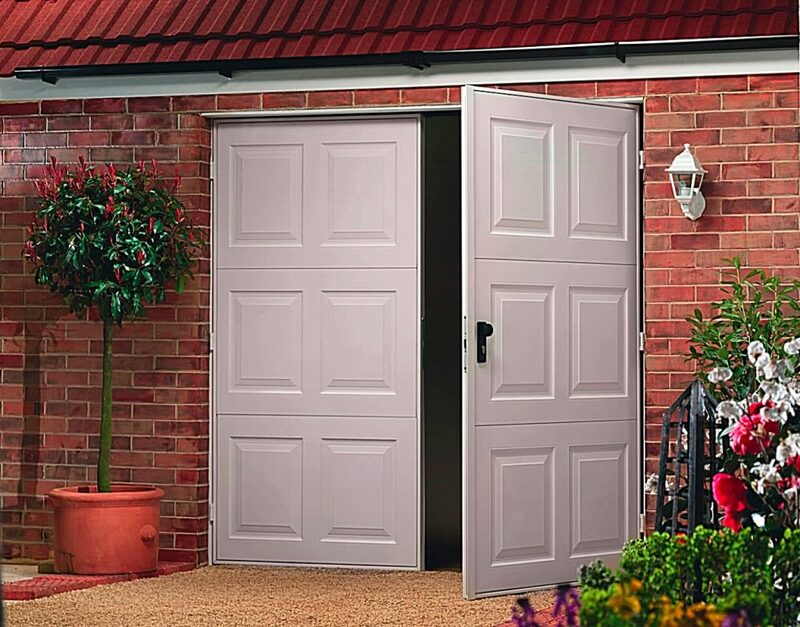 For security these doors are fitted with a handle on the outside as standard which means you always require a key to open the door. For convenience, the option of an outside lever handle is available. Side Hinged doors come with equal sided leaves, with the right hand leaf leading. Other leaf configurations and/or left leading doors are available on request.